When you fly in India and Latin America people often clap when the plane lands. 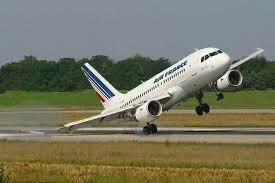 I mean to me the plane landing is a bit of a hygene factor no? Not an event that should surprise or delight the passengers in a way that generates a spontaneous outpouring of delight. I think the people on these flights probably had a reason to cheer… The first one is really creepy, and actually the plane ends up going around and presumably landing safely. The guy with the camera’s reaction is classic if you speak german. Prize for understatement of the decade. The old Hong Kong airport was scary anyway (a link to what this used be like here if you feel like a quick aside). But check out this plane landing. Wowsers. Finally, this one may not even have seemed so weird to the passengers, but on this occasion I’m thinking the people on the beach should have broken into applause!